Alex's love for outdoor and watersport activities began on the beautiful Baja peninsula in Mexico where he worked as a zipline and rock climbing tour guide. Alex later discovered a passion for kayaking during a NOLS sea kayaking course. As fate would have it, he was asked to join the crew for the America's cup sailing tour and met his future wife during a sunset sail. Before their first daughter was born, Alex and his wife relocated to Virginia where Alex took his knowledge of outdoor sports to the retail industry. Alex expanded his paddling skills and product knowledge working for Wild River Outfitters in Virginia Beach before moving to Loudoun County. When Alex is not out paddling or outfitting folks for their outdoor adventures, he loves to spend time with his family hiking, camping, rock climbing, cycling, or any other outdoor activity they can share together! With 10 years in the tourism industry, 7+ in sea kayaking and SUP, and 5+ years in adventure outfitting, Alex continues to expand his knowledge and love for the outdoors. Alex's enthusiasm is contagious! He loves to make sure that his guests feel comfortable, confident, and have an amazing time out on the water! Mike has worked in the outdoor industry for over a decade researching, selling, outfitting and instructing water sports. He has kayaked the past 15 years along the east coast and has found a passion for paddling SUP's. When not on the water, Mike enjoys spending time outdoors with his family and scoping out new places to visit and paddle. In addition to paddling, Mike enjoys hiking, backpacking, biking and telemark skiing. Mike is very knowledgeable about local waters and the different kayaks and boards on the market and enjoys outfitting and sharing tips on how to have successful trips. Britt's passion for outdoor and watersports began when she was 5 years old. As a competitive swimmer, instructor, lifeguard, and coach, Britt spent most of her childhood in the water. While studying elementary education in college, she developed a love for a variety of outdoor sports including rock climbing, yoga, hiking, camping, free diving, and any other activity that kept her outside! While living abroad in Mexico, Britt met her future husband Alex, who shared her passion for an active and outdoor lifestyle. It was during this time that she first tried and fell in love with SUP on the beautiful Sea of Cortez! In the off-season, Britt works for Loudoun County Public Schools in addition to raising two children. She loves to emphasize kinesthetic, hands-on learning. Working as both an SUP tour guide and SUP kids' camp instructor for Paddle Nova allows her to bring her love of teaching out into nature. Britt also handles all of Paddle Nova's administrative responsibilities. 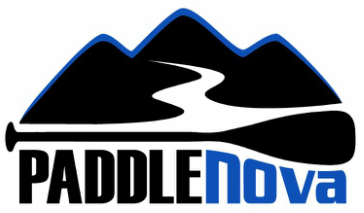 © 2016 Paddle Nova, LLC. All Rights Reserved.